French for “truth,” the wines of Vérité result from a confluence of old world experience and new world fruit. Each is an amalgam of distinct components harvested from small vineyard blocks (micro-crus), resulting in a carefully considered convergence of grape varieties, climate, soil exposition and winemaking technique. The Vérité Estate is located in the foothills of the Mayacamas Mountain range at the southern tip of Sonoma County’s Alexander Valley. 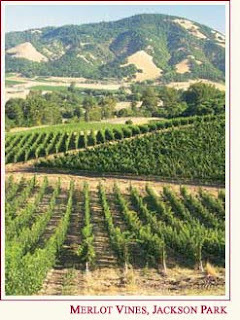 Vérité’s unique location, shared by only one other winery, is just north of the confluence of the Chalk Hill and Knights Valley appellations. “The Verite La Muse 2003 marks Pierre’s sixth vintage of La Muse and represents his continued dedication to craft wines without compromise. A blend comprised primarily of Merlot, La Muse demonstrates the elegance and finesse of a Pomerol-style wine. The wine begins with a rich purple color, followed by a sweet nose of blackberry, spices, tobacco, chocolate and incense. On the palate, it is full-bodied, complex and elegantly textured with a subtle hint of oak and pepper with soft ripe tannins and a clean long finish.” – Pierre Seillan, Vigneron Acclaim. This limited stock item has an elegant, sweet nose of espresso roast, chocolate, berries, kirsch, smoke, incense, and roasted meats is followed by a full-bodied, unctuously-textured wine with superb fruit, richness, complexity, and length. Its sweet tannin and heady personality suggest current accessibility as well as the ability to age for 15-20 years. It would be best paired with a blackened prime rib with garlic asparagus or a fluffy baked potato.